We are proud to offer you these amazing and delicious Gourmet Cupcake Specialty Treats created exclusively for Yummy Cupcakes by Executive Chef Tiffini Soforenko. 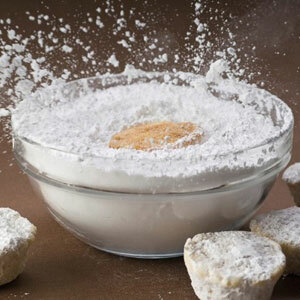 You are welcome to order online or call any bakeshop directly and we will be happy to help you. We appreciate getting your order at least 24 hours in advance. Thank you and enjoy! A delicious twist on the Whoopie Pie…it’s a great addition to the Cupcake Family and it’s unbelievably yummy! 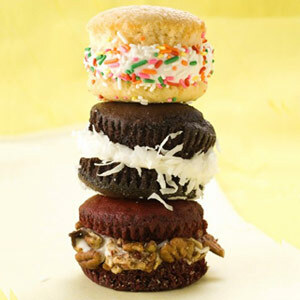 Two gourmet cupcake tops are filled in the center with melt-in-your-mouth buttercream, half dipped in decadent chocolate, rolled in scrumptious toppings and the result…the awesome Cupcakie Pie!! 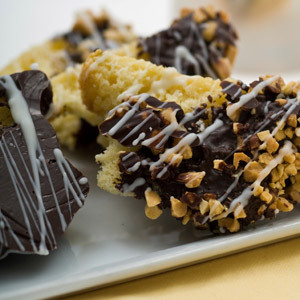 Fresh cupcakes slices twice baked to a biscotti crunch, double dipped in and drizzled with pure melted chocolates, rolled in a variety of scrumptious toppings. 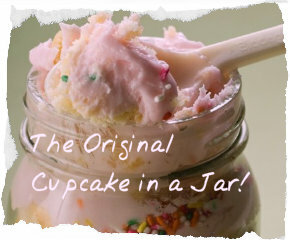 Gourmet Yummy Cupcake is layered in a glass jar with our whippy, house-made buttercreams, fillings, curds and scrumptious toppings, ready to eat with its own spoon. A very special treat! Order in advance or come in to any of our Bakeshops and we will be happy to create your Cupcake-in-a-Jar from your selection of flavors baked that day. Large orders please place 24 hours in advance. Unwrapped, frosting free, bite sized cupcakes taken right out of the oven and tossed in confectioners’ sugar or granulated sugar or a cinnamon/sugar mix! 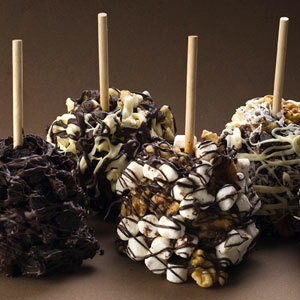 Our delicious gourmet Cupcake on a Stick is double dipped in our decadent chocolate then rolled in a variety of scrumptious toppings like sprinkles, mini chocolate chips, nuts and/or marshmallows. 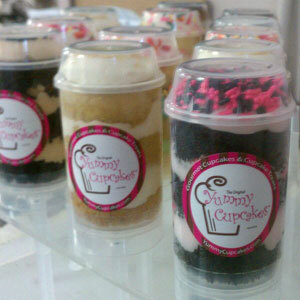 Layers of our gourmet cupcake, whippy buttercream and scrumptious toppings are layered into a Push Pop! This is a fun way to eat this delicious treat. Put the lid back on to enjoy some later…if you can wait that long!! A decadent combination of our cupcake, buttercream and ganache...the Cupcake Truffle is dipped in pure chocolate then topped with a complimenting topping like sprinkles, nuts, crystal sugars. Assorted flavors available in store every day. For large orders, please place 24 hours in advance. 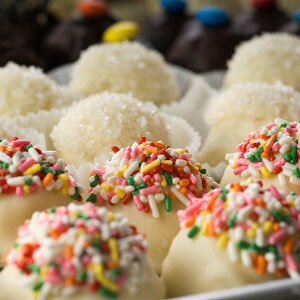 A whimsical spin-off of our popular Cupcake Truffle...on a stick. 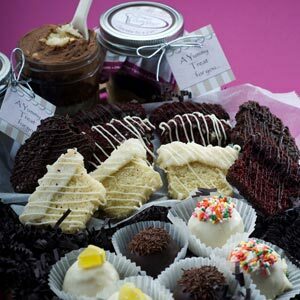 These scrumptious treats add an element of fun to every event! Available by advance order only – minimum 6 per order. 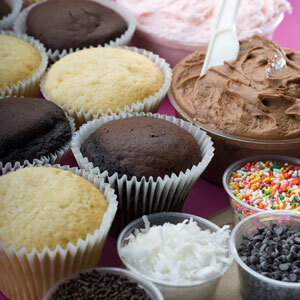 These amazing shots of assorted buttercream flavors are enveloped in pure melted chocolate! 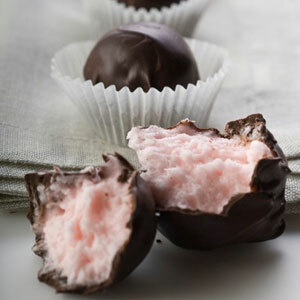 An unbelievably delicious treat. 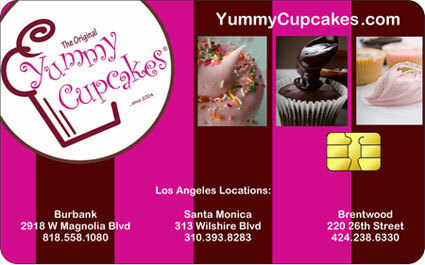 Always a great gift…a Yummy Cupcakes Gift Card! All you need to do is unwrap, frost, decorate and enjoy! A delicious taste of everyone’s favorite minis! 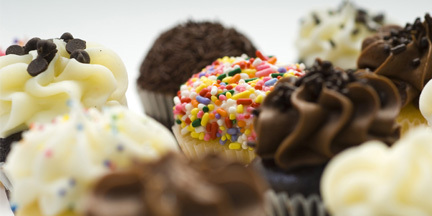 A scrumptious collection of our famous gourmet cupcake treats!